Here at Incontinence Choice, our range of walking aids are designed to aid with mobility whilst around the home or out and about. 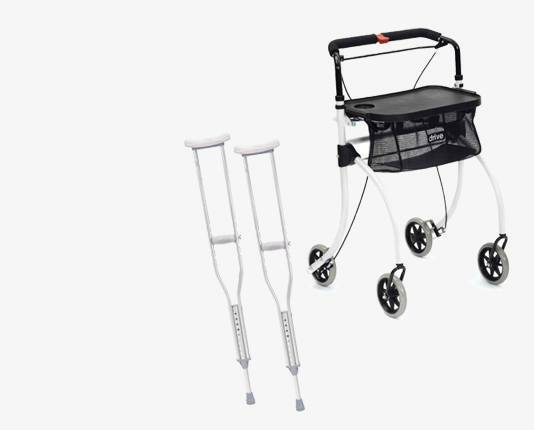 This comprehensive range includes rollators, tri-walkers, crutches, walking sticks and walking frames, as well as a range of accessories suitable for walking frames. All our walking aids are designed to give the user the support and safety they require, whether needing temporary aid for injuries to long-term mobility aids that you can depend on.